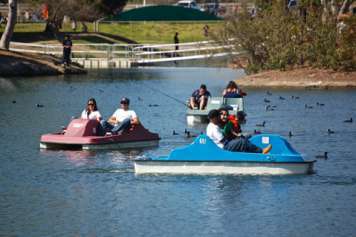 A great way to see the Park is a spin around Lake 5 in a pedal boat, kayak or canoe! These boats are available for rent at the General Store by the hour or half-hour. Personal watercraft is not allowed in our lakes because of the threat of Quagga Mussels.